In this collection of papers various authors explore current trends of labour market stratification in relation to migration and integration policies in European societies. The book offers an overview of the position of so-called third country migrants in Europe, and looks at the differences and similarities in national labour markets and national policies in a common framework. Chapters explore the positions of male and female migrants who fill the labour demand of different precarious economic sectors in the post-2000 period. 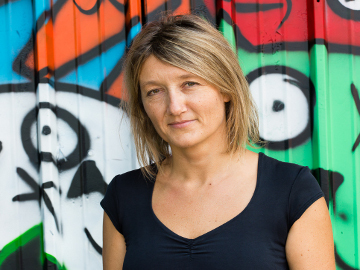 The approach used by the authors combines the analysis of economic structures and the study of policies with a qualitative research approach attentive to the agency of migrants. The content of this book is extremely relevant for comprehending the global movement trend of people, goods, and ideas and the repercussions on the lives of migrant individuals who share the common characteristic of being precarious workers in their European host countries. 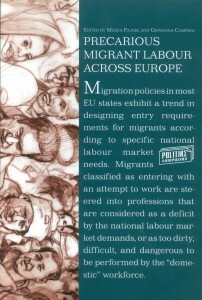 On the one side, this book highlights the necessity of a global approach to understanding the national cases of migrants’ integration in labour markets; on the other side, it reframes the significance of the nation states’ politics and laws for the lives of people in movement and for the guarantee of the respect of democracy and human rights. By analysing concrete examples, this book successfully intertwines theoretical argumentation and empirical applications. Such an approach enables critical distance towards practice and offers to the reader the opportunity not only to learn about the suggested alternatives of future migrant integration practices but also to create her own views and standpoints. The Labour Market Integration of Third Country Migrants in Germany and the Impact of Recent Policies: Integration Policy as Policy of Exclusion?